Welcome to our first instructional post on tools for designers! Today we are talking about grunge textures. 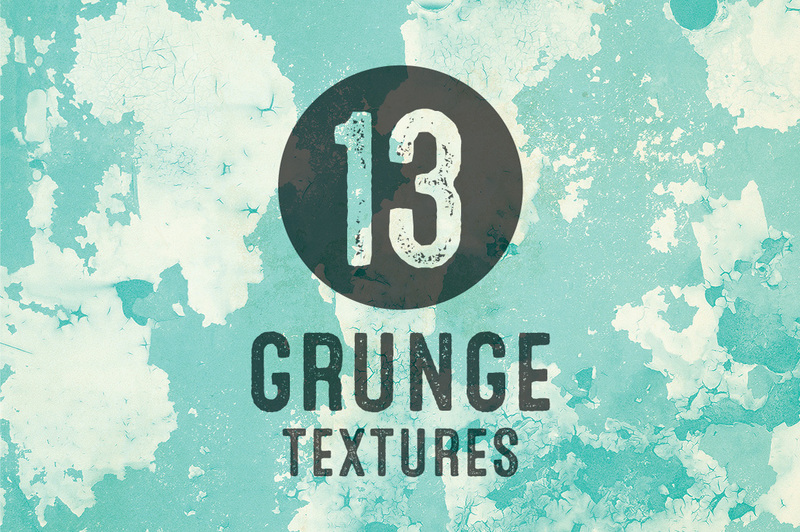 We have a set of 13 Grunge Textures for sale on Creative Market, to get you started! These are great for weathering or distressing your images and graphics, or just when you need a cool custom background. Creating this from scratch can be very time consuming, and sometimes you just need a a good starting point. We’ve done the work for you — we’ve developed a simple, multi-layer PSD file with an easy to adjust, non-destructible layers system. Step 1 When you open up the file titled ”cm_grunge_textures_layered_master.psd” you’ll notice the we’ve titled and pre-colored every adjustment layer so you potentially have unlimited possibilities. Step 2. CHANGING COLORS. If you are an experienced Photoshop (PSD) user then you’ll already know how to do this. But for those that don’t know, all you have to do is double click on the the color square to the left of the layer mask. 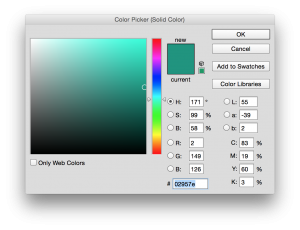 This will give you the color picker pop-up where you can enter your values or grab the little circle in the left hand side (the color picker). Since these layer masks are transparent, you’ll be able to view to adjustments in real time. Step 3: ADJUST LAYER MASK LEVELS. Since I wanted the end user to have as much control as possible, I’ve purposefully left these in their natural state so you can adjust the levels or curves if you want more or less texture in any given layer. In this example to adjust your levels, just use your cursor to select the layer mask of the one you want to tweak and either command+L (Mac) or Control+L (PC) to get the levels pop-up window to appear. Make sure your “Layer mask Thumbnail” is selected (it’s the box to the right of your selected layer and will have brackets around it). Then you can simply click on the little triangles highlighted under the “Input Levels”. Again, since these are transparent layers, you will be able to view your adjustments in real time. Please note: You may want to duplicate your adjustment layer if you plan on making heavy edits. To do that, simply click and drag your selected layer down to the little icon just left of the trash can in your Layers palette. That way you if you’ve accidentally saved or didn’t create a backup you can easily get back to where you started. Pro-tip: I try to make it a practice to always save a duplicate or test file in a different location so I always have a master. The good news, is if you’ve purchased this from Creative Market you can always re-download from your member area. Step 4 DISTRESSING GRAPHICS: If you are using Illustrator or any other vector-based program, be sure to select the top option of “SMART OBJECT”. This will create a new “Vector Smart Object” when pasting into your PSD document. This feature allows you to easily make any adjustments you need, including resizing, without any image loss as it acts like a linked object. When you double click on that layer’s left icon it will open this file up back into Illustrator so you can make any edits you want. Just be sure to save your changes to the “untitled” document when you close that Illustrator document. When you go back into Photoshop your changes will update automatically. 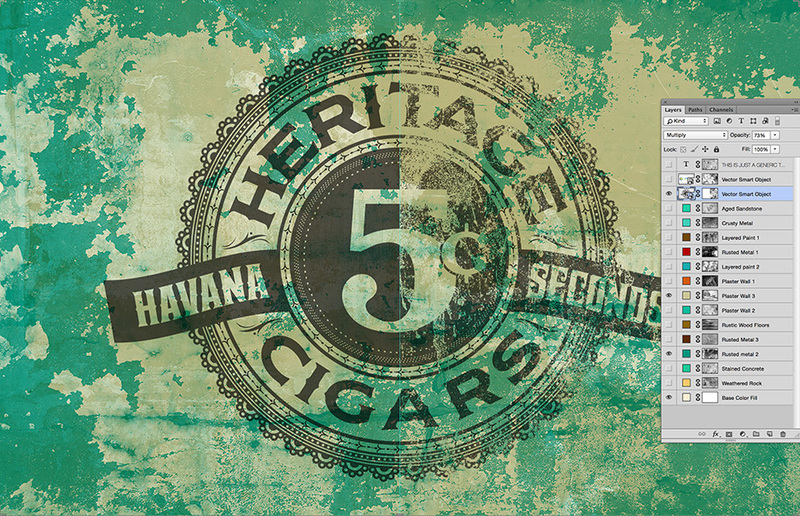 Once you’ve pasted in your graphics as a smart vector object, you’ll want to add a layer mask. If you’ve never done this before just click on the small icon, third one from the left at the bottom of your Layers palette. It’s the square one with a light grey circle inside it. By default you’ll see a white box to the right of your adjustment layer icon. Now you are ready to add a layer mask. All you need to do now is click on the layer mask you want to duplicate while holding down the option key (Mac) Alt key (PC) and you should see a double pointer icon. Drag that up (or down) to your “Vector Smart Object” layer mask and let go of your mouse button. You’ll get a pop up box asking if you want to replace your current layer mask with the one you are dragging and dropping in. Click yes. Once you’ve gotten this far, now you can experiment with how much or little detail you want. To do this, make sure you’ve selected your layer mask thumbnail (right side on that layer). It will have a thin black outline around it showing that’s what has been selected. Now you can play with levels, command+L (mac) or control+L (PC). Same set of instructions for Step 3 apply here. 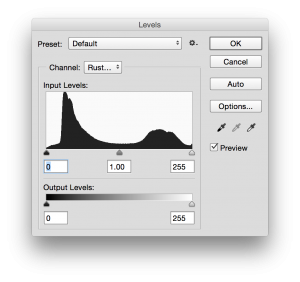 Step 5 MODIFYING THE LAYER MASK: If for some reason you want to go into the layer mask and customize it with some brush presets, just hold down the option key for mac or the alt key on PC and click on the layer mask. Then grab you your brush and experiment away. If your new to this, just remember when using layer masks that, black erases and what adds back in. Try it out! 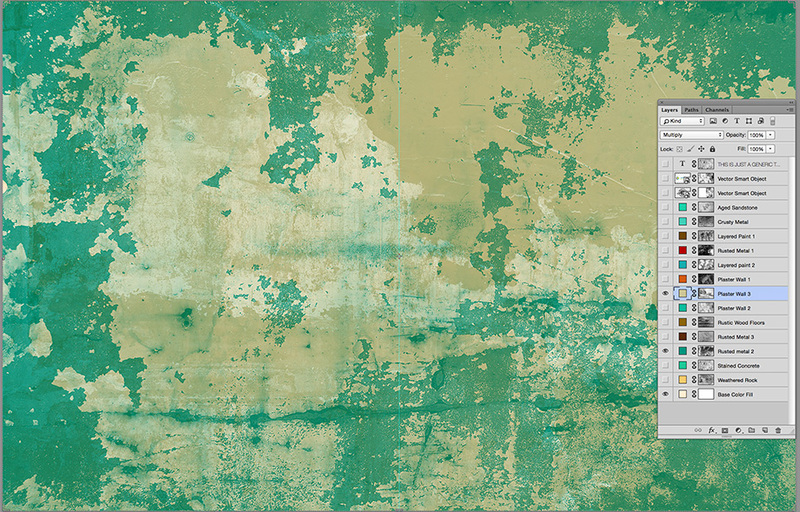 You can find our 13 Grunge Textures here, and we also have 17 Handmade Grunge Textures here.